From the Chicago Examiner. September 4, 1910. 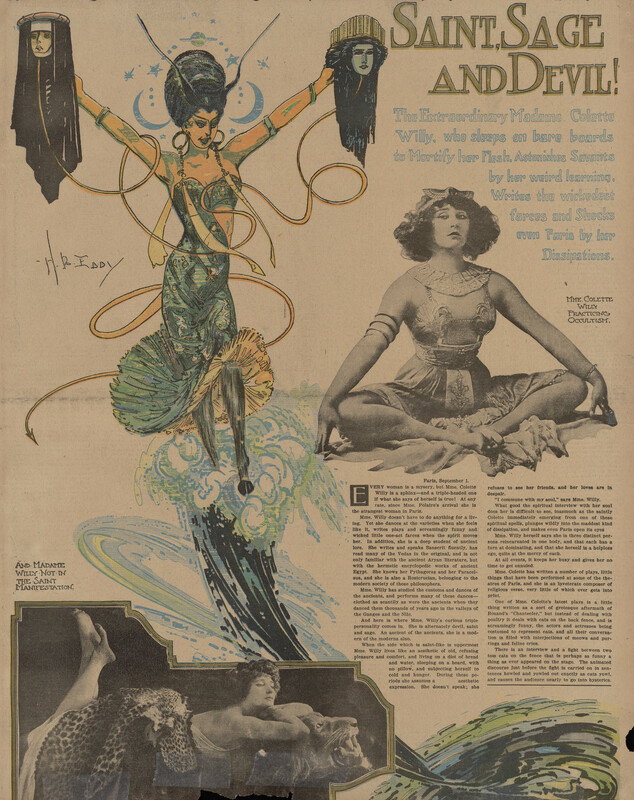 Madame Colette Willy is shown "practicing occultism." I was going to quote a few things from this, but I love every bit of it. So you'll just have to look at it yourself.